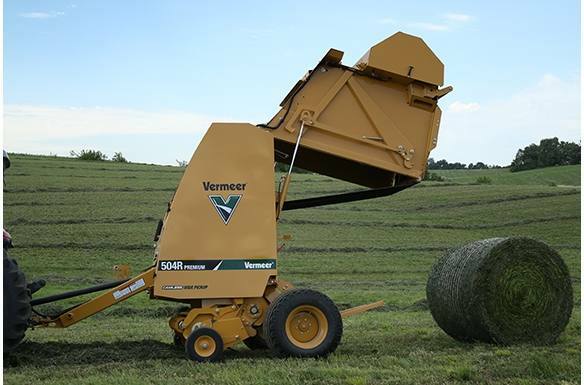 The all-new Vermeer 504R Premium baler is fully loaded and comes standard with a silage kit specially designed for high output of high-moisture crops. More than a silage special, this baler is equipped with heavy duty components, premium belts, a 5-bar camless pickup and the AtlasTM Control System. This package offers more capacity in heavy crops and produces good looking bales in tough conditions. 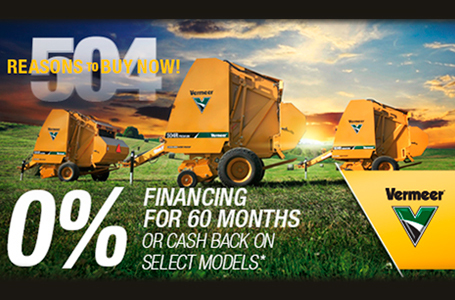 Plus, a Vermeer 3-year pickup warranty provides peace of mind for many silage seasons to come. 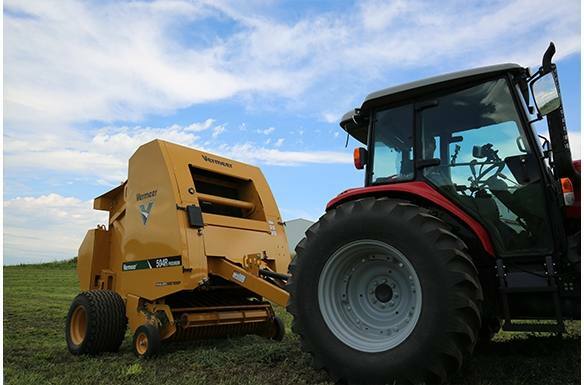 Silage or not, this is your first-class baler. As baleage gains popularity across North America, operators demand a baler that is specially designed and built to handle it. The 504R Premium comes with a standard silage kit, ready for your high-moisture hay needs. 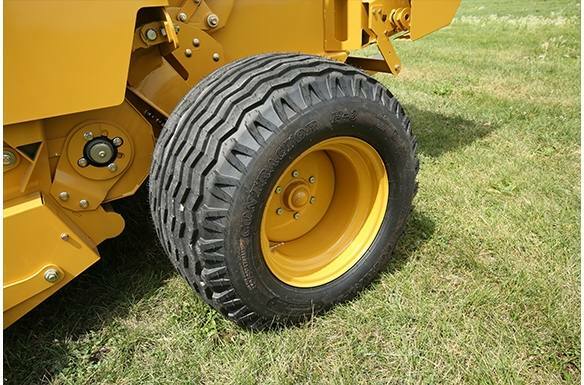 With heavy-duty components, Goodyear “rock" belts and optional float tires, this baler is designed for maximum productivity and output. Atlas™ Control System comes with a 4.3 in color touchscreen. Along with the R-series balers, the 504R Premium comes equipped with a 60 in, camless wide pickup. 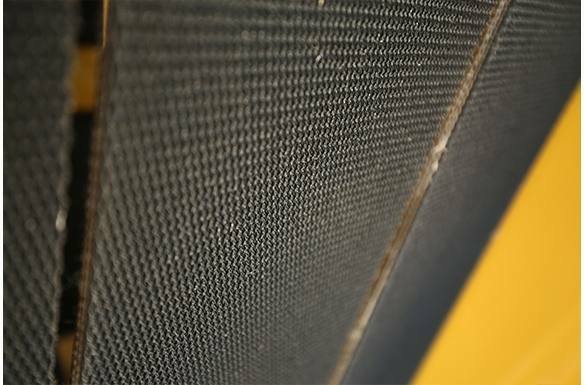 This pickup has minimal moving parts to help minimize maintenance and parts costs. 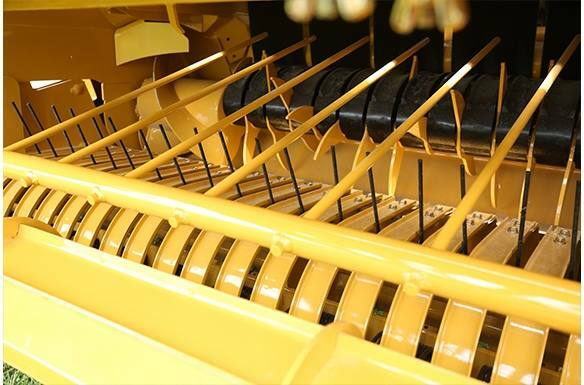 A 3-year pickup warranty covering internal components and parts and labor assures operators their baler is built to last. *Does not include teeth or hardware for teeth.